Welcome to the next country in The View from Here series on literature from around the world. Today we get to visit Spain. Our guide is Isi who loves blogging so much she has two sites: FromIsi in English is available via this link. The Spanish site is here. Q. What books and authors from Spain were required reading in school? Books/authors that wereconsidered classic in other words and that every child was expected to know about? There are many of classic books you had to know at school, including all genres (poetry, drama, etc. ), which, of course, at such ages you can’t enjoy or even get to know the subtle message hidden in them that seemed to provoke that awe to Literature teachers. It didn’t help that they are still written in old Spanish, which makes the reading even harder for young lads. I also remember learning lists of authors and their books by heart, an activity that I now see as useless as reading all those classics at such ages. I guess Literature lessons are the same in schools all over the world, but in my opinion, this approach only makes students hate books. To mention some other author and titles that have been translated into English, we all have read “The Celestina” by Fernando de Rojas, “The Quixote” by Miguel de Cervantes, “Lazarillo de Tormes”, whose author remains unknown, or “The grifter” by Francisco de Quevedo. Q. It’s likely that anyone asked to name a Spanish author would come up with Cervantes. 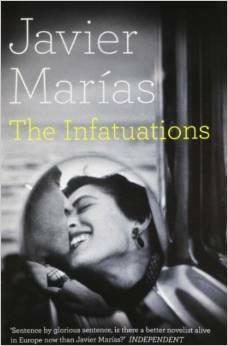 Or looking more to contemporary authors, they might name Javier Marías. Who are some authors we could be missing out on? Well, let’s start with some authors who have been popular in recent years. Luz Gabás has been a best-selling author, whose first novel (Palm trees in the snow) has made it into a film, and it’s a great romance novel set in the last years of the Spanish colonialism in Africa. I particularly liked this book because I read and commented it with my grandmother, who also enjoyed it, and then we went together to watch the film. Almudena Grandes is another example of great literature I always recommend because her characters are too real, with complex stories that make you be part of them. Arturo Pérez-Reverte can be also considered a modern classic (like Javier Marías); his articles, short-stories and long novels are all well written and hooking – I particularly like his books about Captain Alatriste, but I’ve enjoyed every other piece he’s written. I’ll finish with Dolores Redondo, whose crime novels, The Baztán trilogy, have been also best-sellers and made it into films everybody talks about nowadays. Q. Which classical author from the past is your particular favourite — and of course, why? I couldn’t tell another than Benito Pérez-Galdós. I knew the titles of his books (because I had learned them by heart in school), but I only read one of his novels for the first time a few years ago, thanks to a fellow blogger. He wrote 46 books called “National episodes”, which are actually fictional, but include real events from our recent history, beginning with the title “Trafalgar”, that relates one of our endless conflicts with the British (I had to mention this, haha!). Q. What can you tell us about the themes and traditions of literature in Spain? Are there particular styles of writing or themes that are prevalent? The most influential theme in our literature is the Spanish civil war. Like the books set in both world wars, our books set in the civil war always have something new for you to learn, and it is an issue that still divides Spanish society. To mention some of my favourite novels on the subject, I recommend “The frozen heart” by Almudena Grandes, who I mentioned above, and “In the night of time” by Antonio Muñoz Molina. However, I must warn future readers because I think you must do some research on the subject before reading these books to really benefit from them; you might get lost otherwise (after all, Spanish readers have being told about about the war by their relatives and studied it at school). Recently there was a kind of “breakthrough” in Spanish literature with the publishing of a novel set in the Basque Country talking about ETA terrorism. The author is called Fernando Aramburu, and the title is “Patria”. It has been translated into several languages, so I guess it will be available in English soon. Q. Who are some of the up and coming authors in Spain to whom you think we should pay more attention? Apart from Aramburu, you absolutely have to read Víctor del Árbol. His books will be published in English this year, and you will find deeply emotional and though-provoking -but very hard- stories. Add “A million drops” to your reading list, please. Alejandro Palomas is one of those rare cases in which I have to recommend an author I still haven’t read, but everybody is talking about him now and I have many reasons to believe I need to read his novels: he just won a literary prize and all my fellow bloggers are in love with his work, so take him into account as well. Q. Are there any literary prizes that help to promote Spanish writing? Many (too many?). There are several prizes awarded by some of the most important Spanish publishing houses but we, the readers, don’t pay much attention to them because they always seem to go to very famous authors, in order to increase sells for the publishing houses. An unknown author wouldn’t sell as much, right? Nevertheless, there are other prizes that promise a good read. One of them is the Nadal Prize (nothing related to the tennis player, lol), the one Alejandro Palomas won this year, and there is another I always consider reading, which is an award from the booksellers association. Shadowy benefactors, corrupt policemen, ghostly figures, tortured love: the elements that made Shadow of the Wind such a commercial success for Carlos Ruiz Zafon, make their return appearance in his prequel The Angel’s Game. Zafon takes us once more on an adventure through the twisting streets of early-20th-century Barcelona where the fading grandeur of bourgeoisie homes mingle with Gaudí’s strange and surreal constructions and a maze of dark passages created in Roman and medieval times. The city’s back alleys, parks and cemeteries provide the perfect setting for a story of mystery, death and devilment. It’s the city’s darker side that the narrator David Martin has to navigate in order to save his life, win back the love of his life and solve the mystery of the abandoned tower in which he lives. David is an unhappy soul. Robbed of his mother at an early age, he is raised by his illiterate, brutish drunkard father. The boy’s only joy is reading, particularly his favourite novel, Charles Dickens’ Great Expectations. David gets his own chance of betterment when he begins writing a weekly newspaper serial. His stories, written in ‘penny dreadful’ style, feature a glamorous murderess who kills with a kiss made deadly by her poison-impregnated. Though readers love them, David is less than enthused. Nor does his mood improve when he gets a contract with some dubious publishers which requires him to produce a monthly pseudonymous series of books entitled “City of the Damned,” a pace of writing which brings him to the brink of exhaustion and a medical diagnosis of an incurable brain tumour. The answer to his prayers may lie in an approach from Andreas Corelli, a suave and civilised man who describes himself as a publisher from Paris. He offers David a lucrative deal – 1000,000 French francs to write a sacred text that will create a new religion and a legion of believers. As attractive as the money is, the stronger enticement for David is Corelli’s promise that in return for writing the book he will live. But who is Corelli? And what was his connection with Diego Marlasca a former lawyer who once owned David’s house but who died in mysterious circumstances. Is it simply a coincidence that Diego was also occupied in writing a book and his initials are also those of David’s? The more David encounters Corelli, the more suspicious he becomes and the more convinced that he has made a pact with something evil. But then the sense of selling one’s soul goes is part and parcel of the writer’s life according to David. A writer never forgets the first time he accepted a few coins or a word of praise in exchange for a story. He will never forget the sweet poison of vanity in his blood and the belief that if he succeeds in no letting anyone discover his lack of talent, the dream of literature will provide him with a roof over his head, a hot meal … and what he coverts most: his name printed on a miserable piece of paper that surely will outlive him. A writer is condemned to remember that moment because from then on he is doomed and his soul has a price. What we get with The Angel’s Game is a spirited, fast moving adventure story full of the conventions of pulp fiction and the Gothic mystery. It’s absurd in parts (David evades police, survives gun shots and almost near death from being thrown out of a funicular) but then it wouldn’t be an adventure story without those absurdities. The narrative is also of patchy quality in places – cliched conversations between David and his lost love and tedious conversations between David and Corelli about the nature of belief and religion slow the pace down. The denouement also felt rushed with many elements and sub plots not completely resolved. But for all that I enjoyed re-visiting the Cemetery of Forgotten Books – the secret labyrinth of texts by authors doomed never to be remembered. I loved the way Zufon made Barcelona seem almost a character in the novel, using very cinematic techniques. And I laughed at the tongue in cheek way he portrays the life of a writer. We are condemned to put our whole lives into them, even though they hardly ever thank us for it. We are condemned to die in their pages and sometimes even to let our books be the ones who, in the end, will take our lives. I’m not aware of that many authors who have died because they’ve written a book but it would certainly make for an interesting ’cause of death’ in an inquest report. The Book: The Angel’s Game is part of the Cemetery of Forgotten Books series which began with Shadow of the Wind. The Angel’s Game was published by Weidenfeld and Nicolson in 2009. Translation from the Spanish is by Lucia Graves. The Author: Carlos Ruiz Zafon was best known in Spain as the author of young adult novels until Shadow of the Wind (his first adult novel). His newest novel The Labyrinth of the Spirits will be published in 2018. Why I read this: I bought this from a charity shop having enjoyed Shadow of the Wind in 2012 (see my review here). But I never got around to reading it until this month when I started digging into the shelves of my personal library in pursuit of one of my 2017 goals. The Infatuations is a dark murder mystery that also poses moral and philosophical questions about the extremes to which we humans will go in pursuit of love. Coming from the pen of Javiar Marias, considered one of Spain’s greatest contemporary writers, all the elements seemed in place for a deeply engaging read. And for people who have a fondness for verbosity, philosophical meandering and convoluted sentence constructions, it probably does equate to an enjoyable experience. I am not one of them and so this has gone onto the Did Not Finish pile. I enjoyed the first few chapters as we get to know Maria Dolz, the narrator. She cuts a lonely figure as she recounts her daily routine of breakfast in a cafe near her Barcelona apartment. She observes the other customers. One couple in particular catch her eye; well-dressed, confident and so happy in each other’s company, that Maria labels them The ­Perfect Couple’. Perfect until that is, the husband Miguel Deverne is stabbed to death. Soon after Maria becomes more closely involved in the life of his widow Luisa and intimately acquainted with Luisa’s friend Javier. The more she is drawn into their world, the more she begins to feel that something doesn’t quite add up. I never got to discover anything more about the murder and whether Luisa or Javier were implicated since it was at this point that my patience ran out with The Infatuations. For 180 pages (just a few pages shy of the book’s half way mark) we’d had barely any plot development but oceans of digressive narrative and dialogue which traced the same argument over and over again, the essence of which was whether a widow should feel so welded to her former love that she cannot then find happiness with another partner. Javier Marias kept returning to this question like a dog returning to its favourite bone. I didn’t see Luisa Alady again for quite some time, and in the long between-time I began going out with a man I vaguely liked, and fell stupidly and secretly in love with another, with her adoring Diaz-Varela, whom I met shortly afterwards in the most unlikely of places, very close to where Deverne had died, in the reddish building that houses the Natural History Museum, which is right next to or, rather, part of the same complex as the technical college, with its gleaming glass-and-zinc cupola, about twenty-seven metres high and about twenty in diameter, erected around 1881, when these buildings were neither college nor museum, but the brand-new National Palace for the Arts and Industry, which was the site of an important exhibition that year; the area used to be known as the Altos del Hippodromo, the Hippodrome Heights, because of its various promontories and its proximity to a few horses whose ghostly exploits have become doubly or definitively so, since there can be no one alive who saw or remembered them. One hundred and eighty one words in one sentence with details that add nothing to our understanding of the characters or the plot. Despite reading this four times I still wasn’t absolutely sure from the syntax whether the technical college had the cupola or if it was the museum. This and several later similar examples tested my patience too far. Farewell The Infatuations. I doubt I will want to attempt anything by this author again.